Mailchimp provides different customizable templates to help you create the right look for your email marketing. Our Template Builder makes it easy to add your logo and pick different colors and fonts, so you can create a reusable template for your future email campaigns. In this article, you'll learn how to create a template with the Template Builder. If you're unsure about which template to use, you can read more about our different template options. To ensure your template displays as expected, take a look at our template image requirements. This article explains how to create a template with our Template Builder, but you can also import or paste in HTML to create your own custom template. 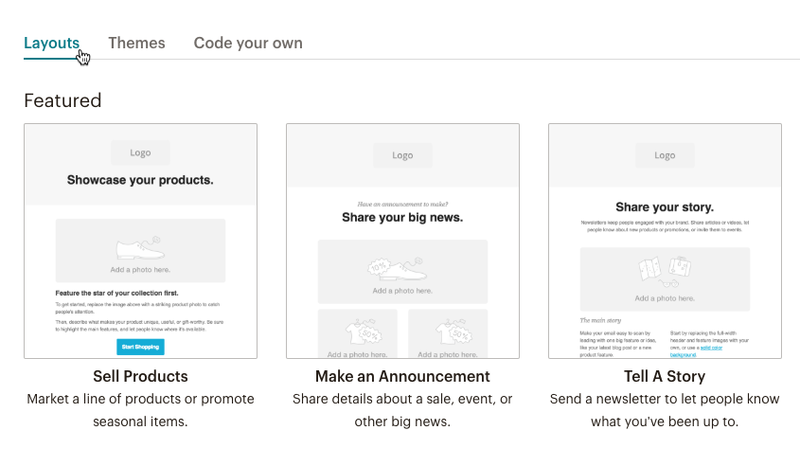 When you edit a code-your-own template, your changes may affect existing campaigns that use the template. Changes to a drag-and-drop template will not appear in existing campaigns. To create a template, follow these steps. Click one of the following tabs. The Layouts tab contains Featured and Basic templates. Featured templates provide recommendations for the type of content to include in a campaign. Basic templates provide blank layouts you can add content to. The Themes tab contains predesigned layouts. The Code your own tab allows you to import or paste in HTML to create your template layout. Click the template you want to work with. Drag and drop content blocks into your template layout to add and format text, upload images, and link to files. When you're done, click Save and Exit. In the Save Template pop-up modal, type a name for your template. 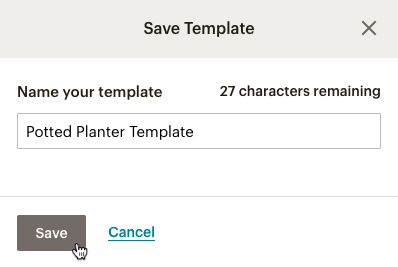 Your new template will be available for you to use on the Templates page or under Saved templates in the Content section of the Campaign Builder. Use Mailchimp's Template language to create your own email template. Learn how to create sections, use merge tags, test your template, and more.